Former President Barack Obama will headline a Beverly Hills fundraiser for Sen. Claire McCaskill (D., Mo. ), marking his first official involvement in the upcoming midterm elections, according to Politico. The May fundraiser for McCaskill will be co-hosted by prominent Hollywood liberals Jeffrey Katzenberg and Steven Spielberg, as well as actress Katie McGrath, according to the invitation obtained by Politico. McCaskill is considered one of the most vulnerable Democratic incumbents heading into the 2018 midterm elections, and has already been labeled by her likely Republican opponent Josh Hawley as an "eager ally" of the Hollywood elite. 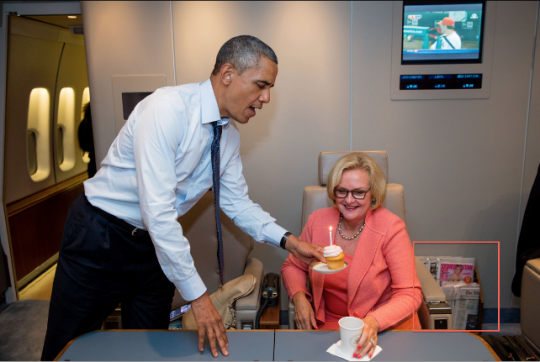 The McCaskill fundraiser will be Obama's first to benefit an individual candidate since he left office. McCaskill was an early supporter of Obama during the 2008 Democratic presidential primary. Hawley responded to news of Obama's involvement in the race by suggesting the event will help his chances of unseating McCaskill in November. "#ThanksObama," wrote Hawley shortly after the news broke. Disney CEO Bob Iger hosted a fundraiser for McCaskill earlier this year, prompting Hawley to label her "Hollywood's candidate." This entry was posted in Politics and tagged Barack Obama, Claire McCaskill, Democratic Donors, Fundraiser. Bookmark the permalink.